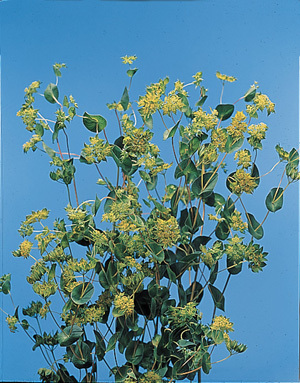 This evergreen shrub thrives in Mediterranean climates, and grows well near the ocean. Used for 2,000 years in China as an herb associated with detoxifying and strengthening the liver and digestive tract. Good as a filler, stems are multi-branched in one plane. Plants of this family often exhibit strong or pungent odors, many are grown for food, flavoring and medicinal reasons while some are also grown for ornamental purposes.